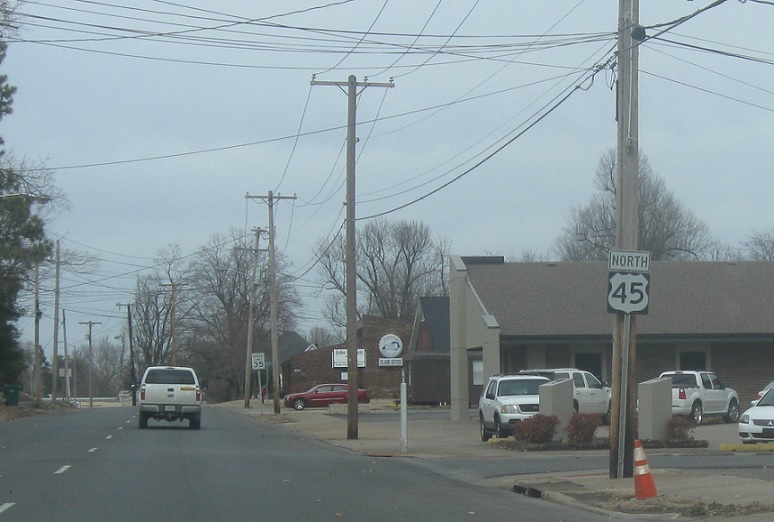 Reassurance shield after the 58 split and 80 junction. 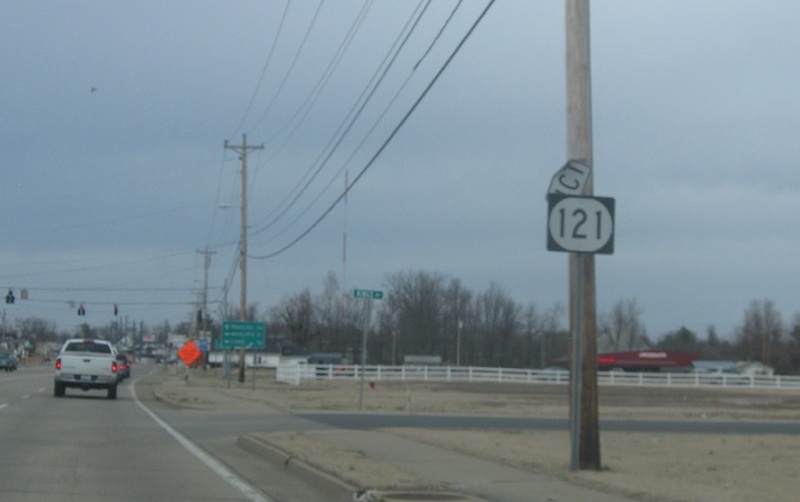 On the north side of town, we’ll approach Highway 121. 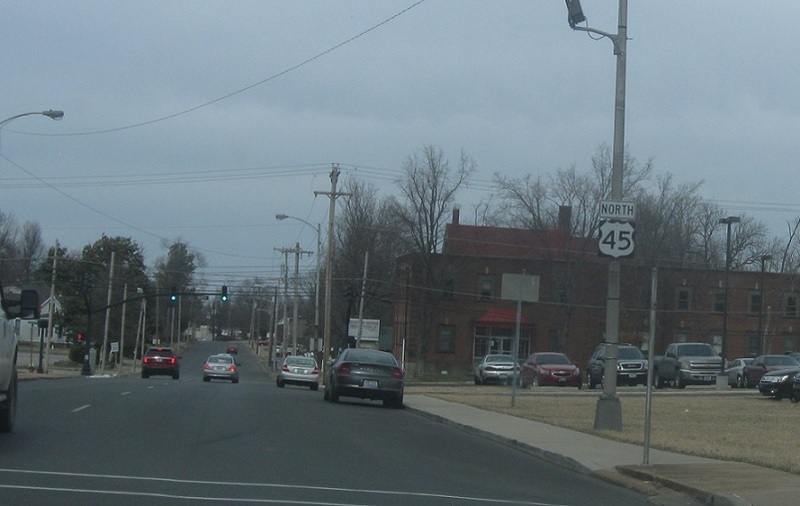 121 forms a northerly and easterly bypass to Mayfield. 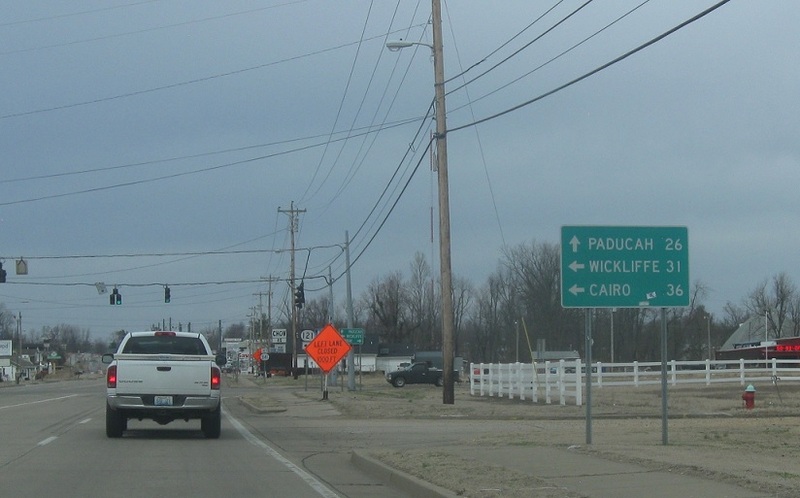 Follow 121 north to Wickliffe and Cairo, Ill. Stay on 45 for Paducah. 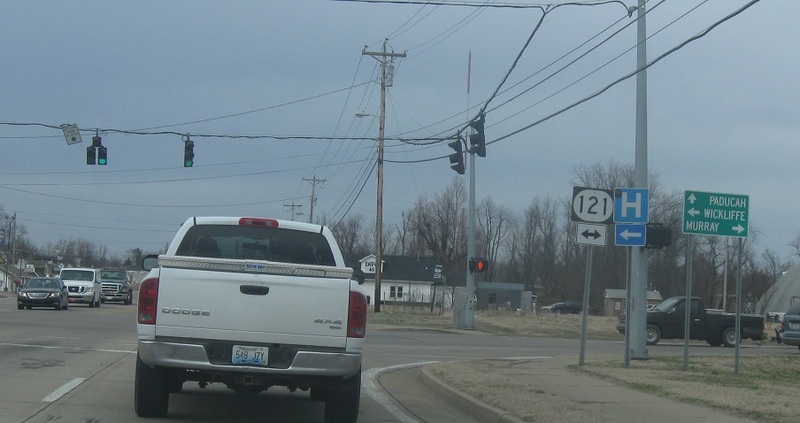 Turn left for 121 north and right for 121 south.